As lots of you know, I was a big bullet journal fan. And I still am. But I gradually pulled away from the bullet journal. Why you might ask--well, the BuJo is all about making perfect pretty writing and making things neat and show-worthy. I LOVE practicing my handwriting and taking my creativity to the next level, but I started to realize it wasn't for me all the time. There were times when I just wanted to scrawl a quick note, scratch in a messy to-do list, or make a quick shopping list that I could rip out and carry to the store. But my bullet journal was perfect and sacred, so I didn't want to ruin it with messy handwriting or torn pages and edges. So, I started looking for alternatives. Honestly I knew that I needed something new when I quit using my BuJo entirely. I started watching YouTube videos (my go-to for finding creative inspiration), browsing Pinterest, and doing lots of searching. After awhile I stumbled into the world of Traveler's Notebooks. I've heard of TNs before. Quite a few years ago actually. And I was intrigued by them, but at the time I couldn't afford the beautiful notebooks on a college kid part-time salary. 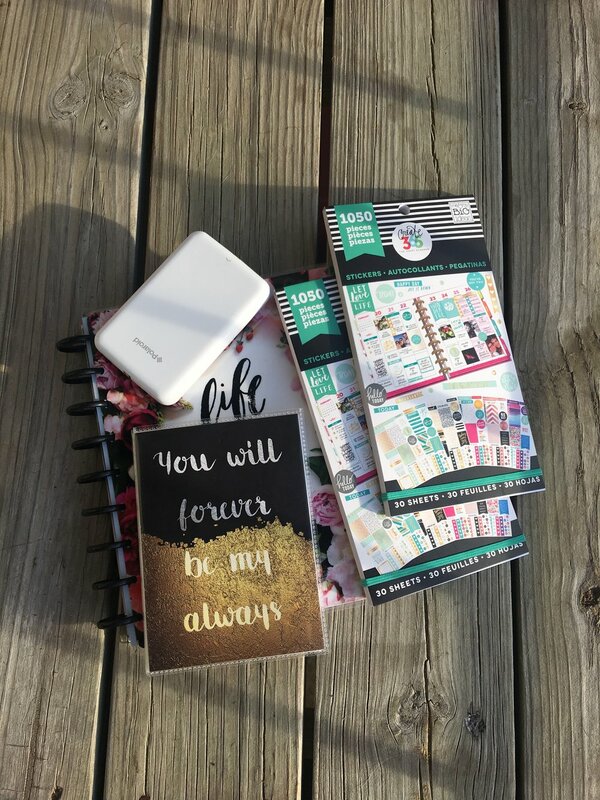 This time I thought for a long while before taking the plunge because I knew that once I started in on this new planner journey with the Traveler's Notebook I was going to be making a long time investment. Finally, I decided that the flexible style of the TN and the opportunity to categorize with different interchangeable notebooks would be perfect for my creative style. I could have one notebook that was more neat and organized for pretty writing, and one notebook for scratchy notes. That's when I purchased my Chic Sparrow Mr. Darcy Pocket in Toffee. Would you be interested in a full comprehensive review? Maybe a review video? I've had it for over 2 months now and could speak really well about how I like it and how it's working for me. Let me know in the comment section below!! My TN has evolved as I've discovered more way to be creative and as my needs have changed. I think that's the best part about a Traveler's Notebook--you can take things out, put things in, change inserts, and still keep the same notebook the entire time. I currently have my Traveler's Notebook be my ONLY NOTEBOOK! And I love it. It's the thing for me. It goes with me literally every where because this little thing is my wallet, my planner, my journal, and my junk dump zone. I just love it--and I can't stop saying how much I love it. Anyways, I just wanted to introduce you all to this little baby because it has been a big focus in my life lately. I have created a dedicated InstaGram, started doing some many other journaling/memory keeping things because of it, and even become more creative just because of this notebook. 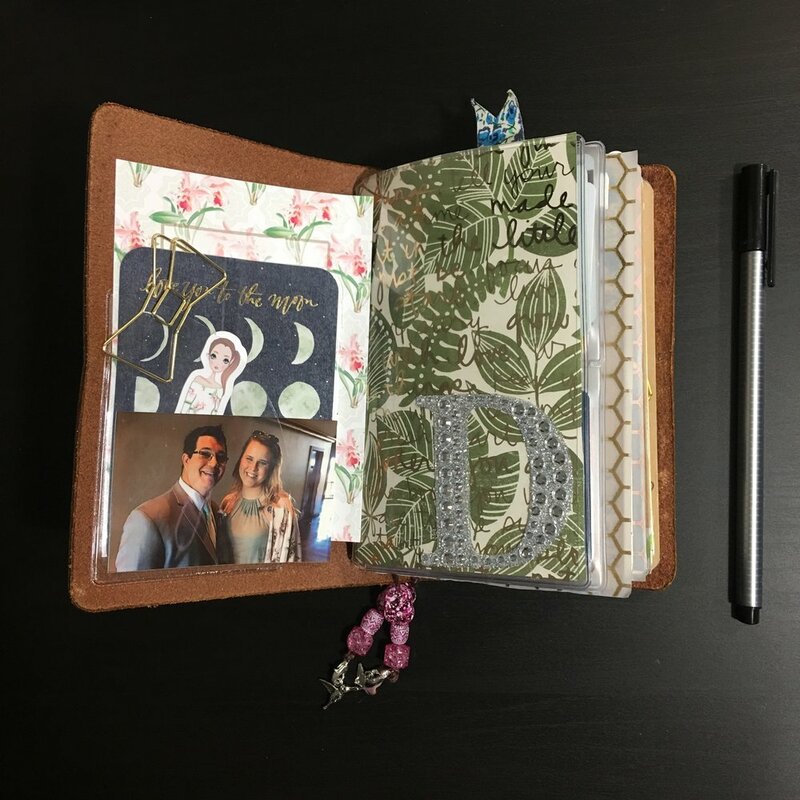 What posts would you be interested in seeing about my new notebook, my new planning style, and my current journaling/memory keeping strategies? Let me know by leaving a comment below! I'd love, love, love some suggestions.